This is probably the first print in oil colour by Baxter produced using wood blocks only. Catalogued by Courtney Lewis as CL 4. 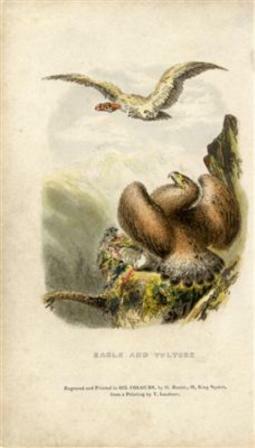 Used as a frontispiece to Mudie’s book, Natural History of Birds, first edition, 1834. Baxter Process Print, size c. 9 x 6.5 cm. From a painting by Thomas Landseer who was a pupil of Haydon and brother of Sir Edwin Landseer.